The arrival of the Christmas season signals the beginning of many happy traditions, from Christmas markets to tree decorating to family dinners. It’s the most wonderful time of the year… unless, of course, you’ve still got presents to buy! If that’s the case, never fear: Emily Smith’s collection of home gifts and accessories will fulfil all your hopes and dreams - or at least, we like to think so! It’s true what they say: when it comes to buying presents, it really is the thought that counts. And nothing says thoughtful more than a home gift or an accessory to add some vibrancy to a loved one’s home. Be sure to check out our collection of coasters to put under one of our cups full of Christmassy hot chocolate, or one of our bright and bold umbrellas to keep the rain and snow off you as you venture out into the cold. For an extra pop of colour and dash of fun at your dining-table, have a look at our collection of placemats. We also have a range of bone-china jugs, an elegant yet quirky way for you to not only show your own individuality, but to give to someone as a present and show that you recognise theirs as well. This is why home gifts and accessories make some of the best Christmas presents; you can be sure that every time someone looks at them, they are reminded of your thoughtfulness (and excellent taste!). However, it wouldn’t be Christmas at Emily Smith without a Christmas collection for those perfectly themed presents. This year, we’ve customised one of our fine bone-china mugs to get into the holiday spirit. 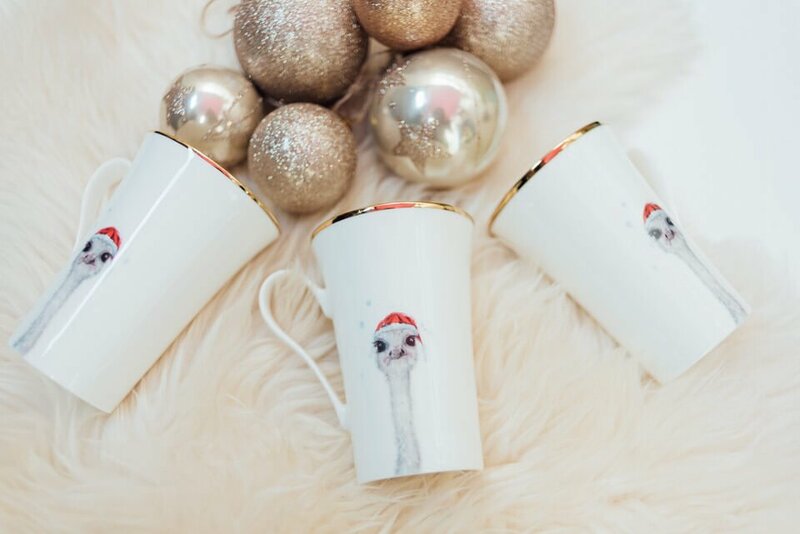 Featuring Francis the ostrich, named after a close late Uncle of mine, this is sure to become a memorable home gift and make a lovely addition to anybody’s mug collection. It also works well as an accessory, with a 24-carat gold rim and the delicate paintwork that embodies Francis’ spirit and Emily Smith’s artistic talent. Whether you prefer tea, coffee, or a decadent hot chocolate, our Christmas mugs are all dishwasher safe, so you don’t have to worry about the washing up. So, even if you are doing some last-minute buying, you don’t sacrifice on quality! 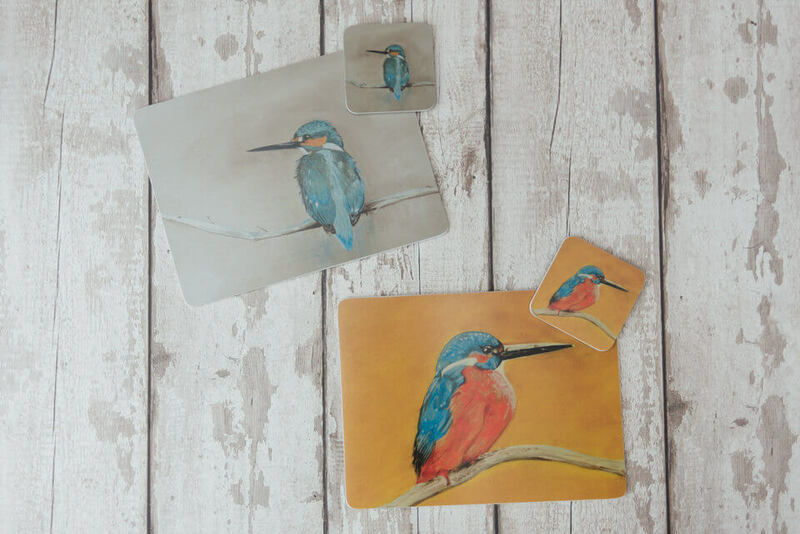 As always, all our products feature one of our unique animal friends, from Flossy and Amber the flamingos to Tipi the Kingfisher. Colourful, hand-painted and made in the UK, at Emily Smith we offer only the finest collection of home gifts and accessories for our customers, and are proud to promote locally-made products at this special time of the year, when giving is just as joyful as receiving gifts.